When you raise $225 million and are being valued at $3.8 billion, then you as a company have to scramble and find ways to not only keep growing to justify that valuation, but also find ways to make money. Pinterest is in that position and it is one of the main reasons why you will see the company keep trying to expand into different growth markets. As part of that expansion, the company announced a new product: Place Pins. The company is now going to allow people to pin places (destinations) of interest and create place boards around those pins. 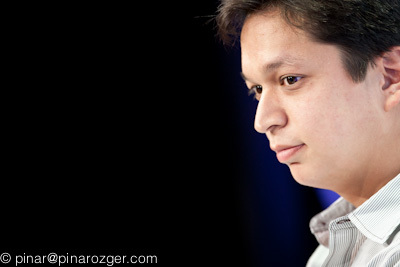 Pinterest CEO Ben Silbermann at a media event said he wanted to inspire users to go out and do things they love. Or more like it, inspire users to go out and pay to do things that will help Pinterest make money, not that there is anything wrong with it. …every day people Pin about 1.5 million places, and now there are more than 750 million Pins of these destinations on Pinterest. Place Pins were designed to combine the beautiful imagery of a travel magazine with the utility of a map online so you can share it with friends. You can access them from anywhere on your smartphone, too, which means you can find new places on the go and even get directions! Place Pins also include extra details like the address and phone number right on the Pin so you can easily pull up useful info on a weekend adventure or before a night out. Some observers believe that the place boards could lead to more revenues for the company as travel is a highly lucrative e-commerce category. Still, one needs to maintain a healthy skepticism of these diversifications. Place Pins is yet another variation on Pinterest’s core offering — Pins which have been adapted for articles, recipe, and movie pins. It is not clear how successful these diversifications have been for the company, but I can understand why they need to move in this direction. New categories can catalyze growth, especially if the company wants to increase it value from current $3.8 billion to say $10 billion or more. That growth has to come in two ways — in user numbers and revenues. It is rumored that much like Twitter (s TWTR), Pinterest, too, has been challenged when it comes to growth. Pinterest’s US traffic – both on the web and on the mobile was hovering around 25 million unique visitors a month in September 2013, according to comScore Media Matrix data. (See chart above.) 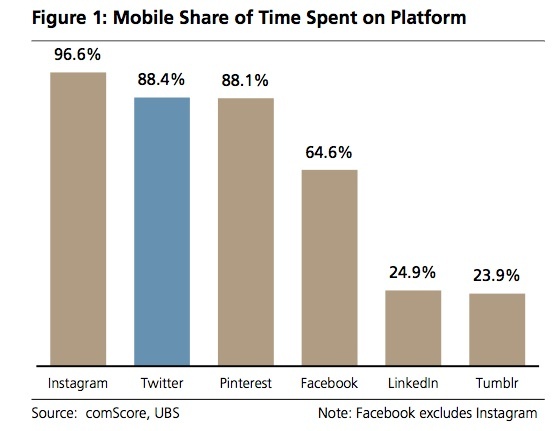 There is one more thing it has in common with Twitter — its users do love spending time on the service, just not as much as Instagram. I’m not certain this isn’t something different than desperation… it could be strategy. It was this post (among a few others recently,) that started my thinking about the “Internet of Locations” … as being taxonomically distinct from the Internet of People (as in social media) and the Internet of Things. They are related though … it’s sort of set intersection People, Places or Things. ***I took out the past from Wikipedia: the symbols didn’t come across. What’s particularly interesting are implications for big data, a la Services in the Cloud (e.g. no dependence.) If I’ve noticed the inference, smarter people than me have been acting on this for a while. Intelligent appliances won’t need the cloud to relate to their people and the places those people take them. Happy Holiday. Yes, someone is paying attention.